When in London, it would be a shame to miss the opportunity to spoil yourself in a four or five stars hotel. Even if your budget is limited and you are traveling with your family or in a large group of friends, you can still find an accommodation suitable for your taste. In addition to this, what you spend on means of transfer from an Outer London borough you can save with a Central London hotel. 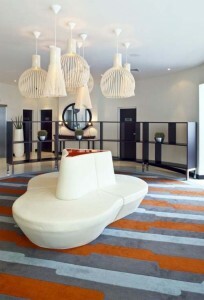 An example of a beloved option for travelers and businessmen is the so-called Hotel Novotel London Tower Bridge. It is situated in the perfect location, close to important means of entertainment, famous shopping departments and fascinating touristic objectives, such as St Paulâs Cathedral, Natural History Museum, and Tower Bridge. Moreover, you can choose between more than 200 guest rooms and 7 conference venues, all with modern facilities and remarkable views. You have delicious dishes prepared for every important meal of the day, a fitness center for a healthy lifestyle and a sauna for relaxation. In order to get a Heathrow Airport to Hotel Novotel London Tower Bridge Transfer by rail, there are three main options. First of all, you could take the train from Heathrow (every 10 minutes), followed by a Tube from Paddington (every 10 minutes). This journey will take about 47 minutes in total. The second option is a Tube from Heathrow Terminals 1-2-3 (every 5 minutes) via South Kensington Underground (every 5 minutes). This journey lasts about 1 hour. You can also choose a bus from Heathrow Central Bus Station (every 60 minutes) via St James, Trafalgar (every 10 minutes). This trip takes 1 hour and 27 minutes of your time. A Heathrow Airport to Hotel Novotel London Tower Bridge Transfer by car can be done by taking the A4 Road. Heathrow Airport is at an 18.3 miles distance from Hotel Novotel London Tower Bridge. This journey will take about 55 minutes, without including traffic. A Heathrow Airport to Hotel Novotel London Tower Bridge Transfer with 247 Heathrow Airport Transfer is going to take about 1 hour and 3 minutes, including rush hour traffic. The price for a Heathrow Airport to Hotel Novotel London Tower Bridge transfer starts from 42 GBP.